Jeremy Clarkson once said of MG owners that you could always pick one because of the ingrained grease and dirt under their fingernails. There may be a grain of truth in this although I haven’t yet found it impossible to remove the “project car grime” when using some Solvol and a scrubbing brush. I think that if one decides to buy an MGB one is really deciding to adopt it more as a hobby than as plain boring transport. 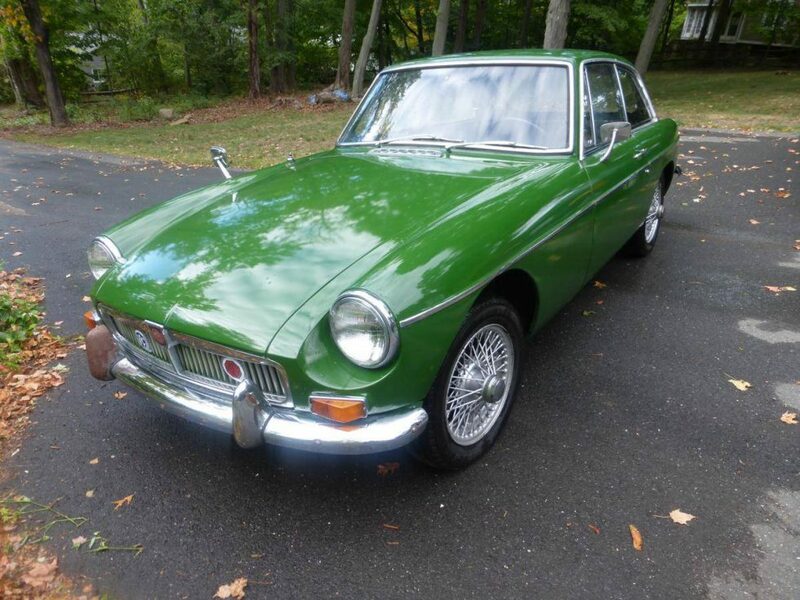 Of all the cars that MG made one of the most fun to work on and “improve” must be the MGB. 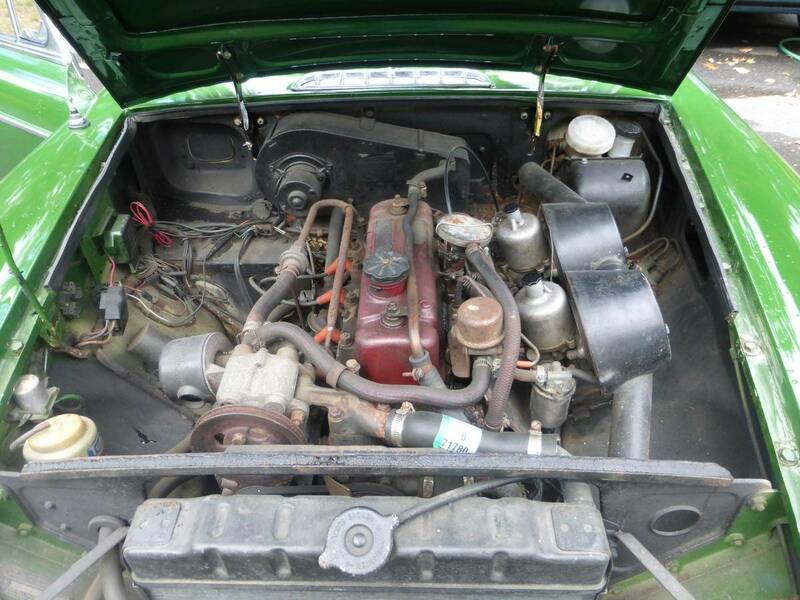 The engine bay of the MGB leaves plenty of room to get in and have fun getting your hands dirty. 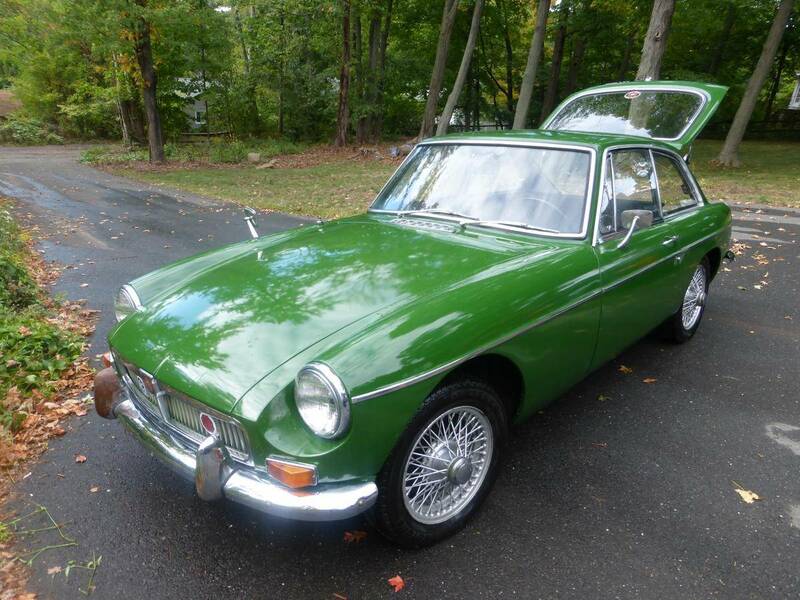 The MGB has not really attained the status of “untouchable classic car” and I for one hope it never does. Instead it has been from its inception a sports car for the hobbyist, tinkerer and enthusiast. They’re a car that you can have a blast with at the local car club, drive it during the week and enjoy the commute, and take it on regular road trips to new and interesting places. The view from the driver’s seat. All the instruments are in easy view. 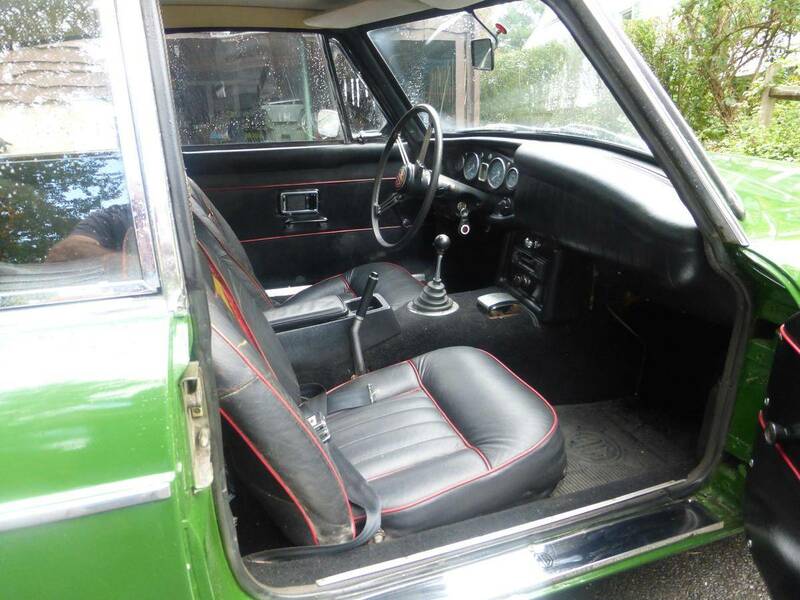 Of all the MGB variants my personal favorite is the MGB GT with its roof and 2+2 seating. Its the sports car you have when you want to indulge yourself in a bit of Jekyll and Hyde personality mobility. The MGB GT can be a mild mannered sedan like car for the weekday commute to work and has plenty of room in the back for the shopping. But it is also a car that you can take to the car club and have some serious “Stirling Moss” fun at hillclimbs, gymkhanas and track days. For those of us who are firearms enthusiasts the MGB GT also has nice room in the back for the rifle and/or gun cases and other bits and pieces we take to the range. Its not a 4WD but if your hunting venue can be accessed by a conventional car then the MGB GT is a nice way to get there and back again. A good amount of room in the back for shopping, rifle cases, luggage or whatever else you might want to take. The engine of an MGB is not going to have you smoking rubber at the local drag strip in quite the way a Chevy or Ford V8 might. But the car is quick enough and enormous fun to drive. There’s no synchro on first gear but you’ll enjoy the challenge of double de-clutching it into first on the move although be warned that wives or girlfriends will not notice your practiced expertise nor be impressed. 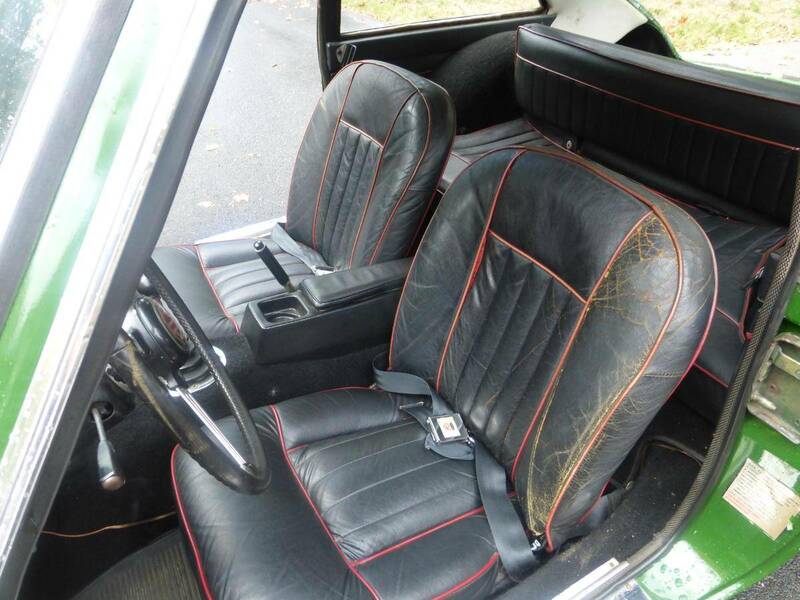 The interior of the MGB GT is comfortable enough and purposefully austere. 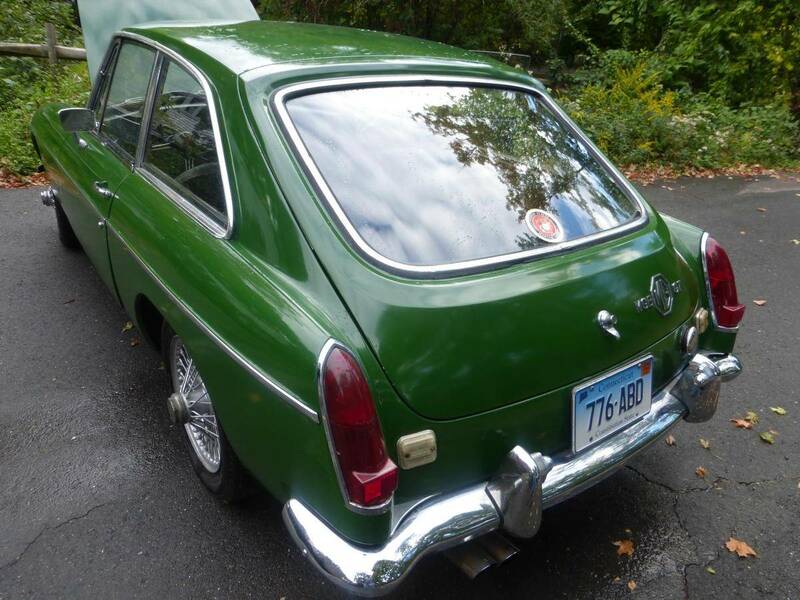 If you are looking for a car that will be both a hobby and a project as well as being your vehicle for fun and adventures then there’s an interesting looking green MGB GT for sale in West Hartford, Connecticut. It’s recently painted in a delightful shade of what I would call Brooklands Green although the vendor lists it as British Racing Green (I tend to think of British Racing Green as a green so dark it is the green you have when you’d rather have black). The color of this car is gorgeous. Looking at the fit of the driver’s door there may need to be some adjustment or repair done. 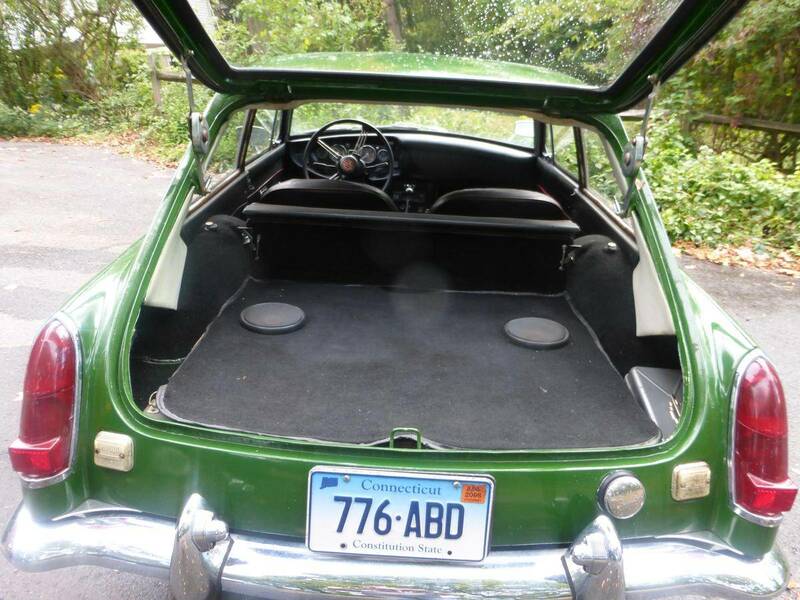 This particular car is a 1968 model and is located in West Hartford, Connecticut and you will find the sale page for it if you click here. Asking price is USD$8,500 obo. Interior looks worn but in reasonable shape. 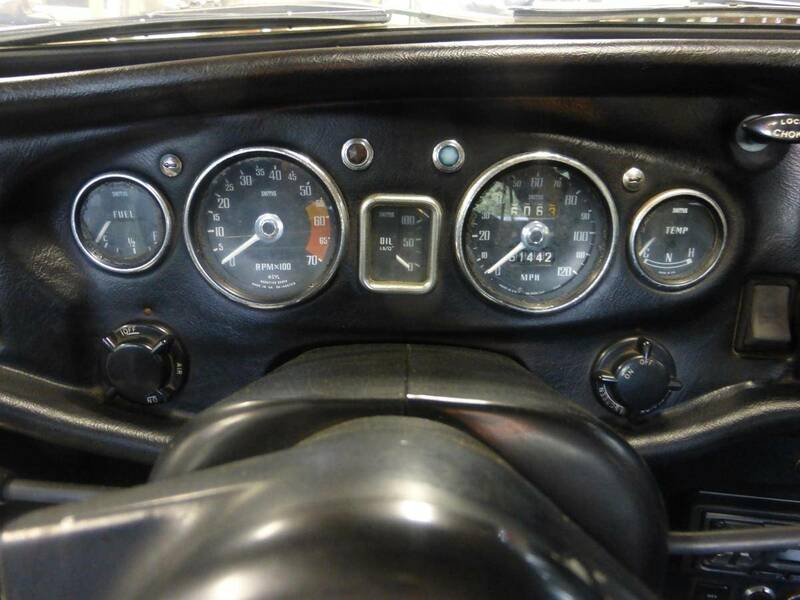 There are a lot of people in the world who have an MGB as their hobby car and as a result there are lots of spare parts available and other modification goodies such as body kits etc. So if you are looking for a car that can provide creature comforts yet a driving experience that I can only describe as one of the most fun you can have behind the wheel then this might just be for you.